THERE were many meetings involving Asia Pacific leaders last week due to the Asean Summit in Singapore and the Apec Summit in Papua New Guinea. At the Singapore meetings, the Asean leaders not only met among themselves but also held dialogues with China, India, Japan, South Korea, the United States, Australia and New Zealand. Malaysia was “punching above its weight” since Tun Dr Mahathir Mohamad was back and it seemed everyone wanted to hear his views, given his elder statesman status and his role in the country’s remarkable power transition. Even the head of the International Monetary Fund, an organisation that castigated Dr Mahathir for his unorthodox policies during the 1997-98 Asian crisis, wanted to learn from him. It would be interesting to know what the PM told Christine Lagarde. The IMF has changed just a little, with regard to the use of capital controls, but remains a champion of austerity policies even when a country is in the midst of recession. The complaint remains – that the IMF makes a sick patient even more ill.
That’s why most indebted countries want to avoid it and try to get loans from elsewhere. Dr Mahathir made headlines with some clear and blunt take- away messages. He broke the ice on the Myanmar government’s atrocities on the Rohingya by criticising Aung San Suu Kyi for “trying to defend what is indefensible”. The unwritten rule in Asean is that leaders should refrain from directly criticising other member countries. On the thorny issue of the South China Sea, Dr Mahathir gave a simple message that it is sufficient for countries to use small patrol boats to deal mainly with piracy, but the seas around the Asean region should be free of big warships. The US strategy should not include “sending the Seventh Fleet into the area”. The present competition and potential conflict between the US and China cast a shadow over the summit. The tensions have become more acute due to the US-initiated trade war on several countries, with China as the main target, as well as the continuing tussle over military presence in the seas and air in the region. Singapore Prime Minister Lee Hsien Loong at the end of the summit warned that Asean countries may one day have to choose between the US and China, and he hoped “it does not happen soon”. He also warned that the rules-based multilateral order is “fraying” and that “if the global economy pulls apart into different blocs, then Asean will be put in a difficult position”. The absence of President Donald Trump at both summits raised doubts about his ability and commitment to forge cooperation or even simply interact with countries in the region. This is generally seen as a boost for China, whose premier and president attended the Asean and Apec summits respectively. Trump’s presence might have signalled a continuation of the delicate balance of power among the region’s major, emerging and smaller countries. But his absence might have been a blessing after all. Trump’s confrontational style might not only have been disruptive (as shown at the G7 summit and more recently at the World War I commemoration in Paris) but the implicit erosion of the old order might have escalated into a more explicit breakdown had he turned up. The Asean summit’s most significant outcome was to postpone the remaining key decisions on the 16-country Regional Comprehensive Economic Partnership (RCEP). Singapore as hosts and Japan and Australia as major advocates had hoped the RECEP countries’ leaders could announce that a “substantial conclusion” had been reached. But it was not to be. 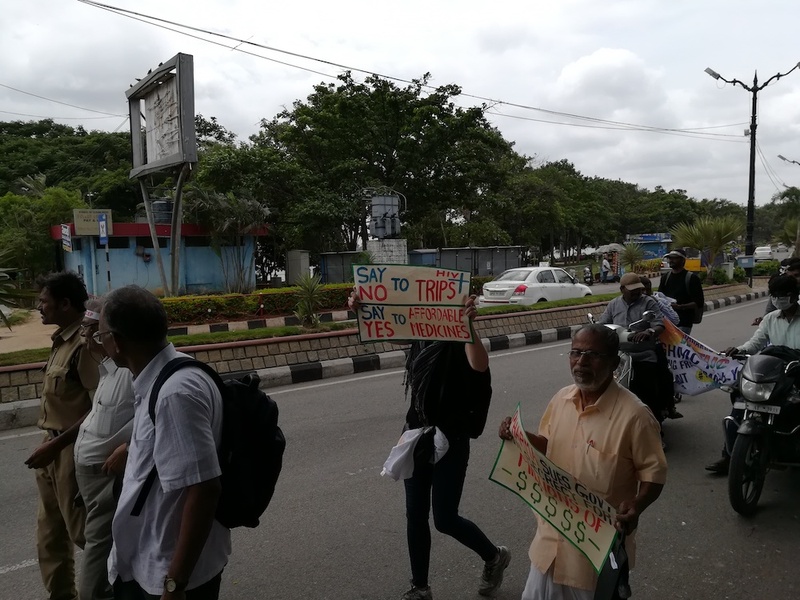 Getting a final RCEP deal is proving elusive as different countries have different sensitive issues that they are defending or promoting, and compromises are harder to obtain than anticipated. If RCEP was only about trade, it would be difficult enough. Many countries want tariffs on 90% of goods to be eliminated, with some of the remaining tariffs set at 5%. Some countries are worried their small industries and farmers will be affected or even wiped out by the cheapened imports. India, with a trade deficit running at the rate of US$200bil a year, is particularly vulnerable, especially to imports from China. But to complicate matters further, the RCEP drafts also oblige the countries to comply with many binding rules. On investment, the rules include giving foreign investors (including fund speculators) the right to enter and be treated like nationals; prohibiting conditions on investors such as technology transfer; and enabling foreign investors to sue the host government at an international tribunal. Developed countries like Japan and Australia also want RCEP to oblige its members to adopt intellectual property laws and policies stronger than what is required by the World Trade Organisation, and to join a treaty known as UPOV 1991, which potentially raises the cost of seeds and other inputs used by farmers. Malaysia raised concerns that the RCEP rules on competition might prevent domestic firms from growing bigger and thus better able to compete with large foreign companies. It was also not in favour of investors being able to take tribunal cases against the government, asking that prior permission should be obtained before such cases are ini- tiated, according to a press report. The e-commerce chapter contains controversial proposals prohibiting data localisation policies or the control of cross-border data flows; a ban on requiring that source codes can be revealed; and that government should not be able to set standards for authentication or e-signatures of electronic transactions. Some RCEP countries, including China and India, have data localisation policies which they would not like to give up while, on the other hand, Singapore wants the free flow of data across borders. Dr Mahathir was quoted by Bernama as saying that Malaysia would not agree to lop-sided trade deals and would not sign RCEP if it does not constitute a fair deal. “We can’t just accept something that sounds reasonable for other countries but does not sound reasonable for many people in our country. We want to avoid conflicts in our country resulting from our acceding to foreign ideas,” he said. The leaders have set a new deadline for concluding RCEP next year. But trade negotiations are now complicated because so many non-trade issues have crept onto the agenda. It would have been easier if trade agreements were only about trade, as they used to be, before powerful countries opportunistically injected other issues that are to their benefit, but which have caused serious concerns to other countries. Martin Khor is adviser of the Third World Network. The views expressed here are entirely his own.